What effect does an anaesthetic have on my child’s brain development? There have been many concerns in recent times regarding the safety of children having general anaesthetics and what implications it may have on brain development. These concerns of anaesthesia-related neurological injury have not only been voiced by parents, but also increasingly amongst health-care providers and regulatory organisations. In 2003, a study published in the Journal of Neuroscience observed the effects on the developing brain on 7 day old infant rats exposed to commonly used Anaesthetic medications (midazolam, nitrous oxide and isoflurane) in doses sufficient to maintain an anaesthetic for 6 hours. The results showed widespread apoptotic neurodegeneration (brain cell death) in the developing brain and persistent learning and memory impairment. Addition of information to the sections of the labels about pregnancy and peadiatric use to describe studies in young animals and pregnant animals that showed exposure to general anaesthetic and sedation drugs for more than 3 hours can cause widespread loss of nerve cells in the developing brain; and studies in young animals suggested these changes resulted in long-term negative effects on the animals’ behaviour or learning. Without direct human studies, the evidence up to this point was on animals and made clinical interpretation very difficult. A study that has just been published in the Lancet journal (Neurodevelopmental outcome at 5 years of age after general anaesthesia or awake-regional anaesthesia in infancy (GAS): an international, multi-centre, randomised, controlled equivalence trial) has given the medical community the best evidence so far. The study aimed to investigate whether exposure to general anaesthesia in young children adversely affects longer-term neurodevelopmental outcomes as compared with awake-regional anaesthesia. The studied recruited more than 700 infants who underwent hernia operations at two years of age and then at five years old. These children were allocated to either a general anaesthetic or a regional anaesthetic. This study involved 28 hospitals in Australia, New Zealand, the US, Canada and Europe. These patients were observed between February 2007 and January 2013. The trial tested the neurobehavioural and cognitive development of more than 700 infants who underwent hernia surgery (one of the most common operations of early childhood) at two years of age and then at five years. The children were allocated either a general anaesthetic or a regional (local) anaesthetic. The results showed that one brief general anaesthetic in early childhood is unlikely to be harmful to long-term neurodevelopment but the safety of longer exposures remains unclear. The results also showed no significant difference in IQ scores between the children exposed to general anaesthesia (average IQ score 98.87) and regional anaesthesia (99.08), after adjusting for age at birth and country, and accounting missing data. There were also no differences in a range of other tests of neurobehavioural and cognitive function. 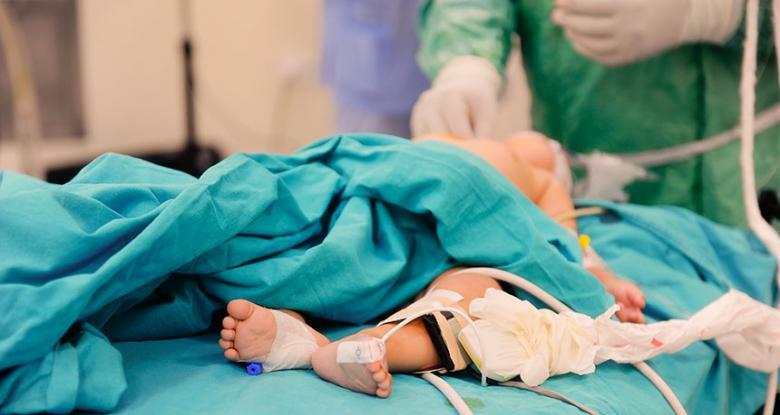 This study is very important as nearly half of all general anaesthetics that are performed in children under the age of five are short in duration. The Anaesthetists from Anaesthetic billing company, Fast Tracking Anaesthetic Billing Services believes that this will provide the necessary reassurance to parents and health providers that general anaesthetics. Given the new information provided by the GAS study, we can now be confident that a single general anaesthetic under the age of five for a duration less than one hour has no effect on neurobehavioural and cognitive function.